Be sure to mark your calendars for our Senior Recognition this Sunday, May 1st. Join us as we celebrate our graduating high school seniors with a potluck dinner at the Pocahontas Center at 11:00 a.m., following the church service. The seniors being recognized are: Autumn Radig, Amber Rahn, Brock Hubbell, and Joe Minkler. Our very own Mary Hallman will be the guest speaker for the day. We will also be saying good-bye to Jain and Jannet, the high school foreign exchange students that have been a part of our church family this school year. Please join us as we bid them a a formal farewell. 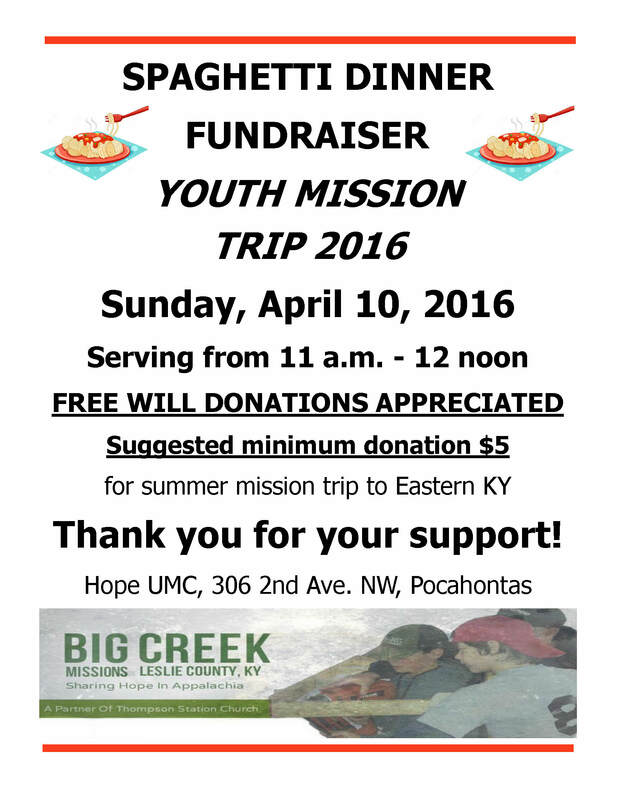 One Service this Sunday; Upcoming Senior Recognition, & Flood Buckets, Oh My! Okay, there are lots of things to highlight this week, so here we go! 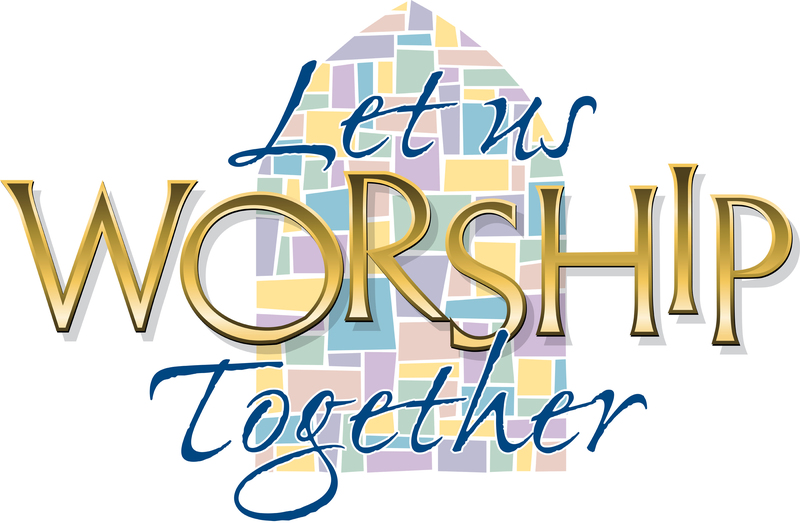 First, this is a reminder that this coming Sunday, April 24th, we will have only one worship service at the Pocahontas Center at 10:00 a.m.
Then, be sure to mark your calendars for our upcoming Senior Recognition Sunday on May 1st. Join us as we celebrate our graduating high school seniors with a potluck dinner at the Pocahontas Center at 11:00 a.m., following the church service. The seniors being recognized are: Autumn Radig, Amber Rahn, Brock Hubbell, and Joe Minkler. Also, our mission committee just kicked off our “cleaning/flood bucket” drive. With all the rain and flooding our southern states have been receiving, these are more important than ever. 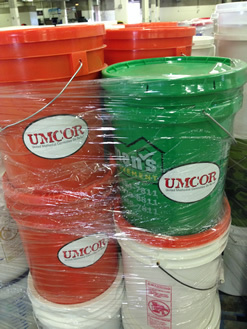 Last year the mission committee received enough supplies to send 10 buckets to annual conference. This year they hope to be able to send at least a dozen! A list of needed items will be available the next couple of weeks at church, or you may call the church office (335-3663) to select some items to furnish from the bucket wish list! This Sunday: Only one service @ 10:00 and Spaghetti for Lunch! This coming Sunday, April 10th there will be only one worship service at the Pocahontas Center @ 10:00 a.m. We will have the privilege of having Davidson Adams, a student sponsored by the Iowa-Nigeria Project (INP) share his story with us. He has completed his studies at Western Iowa Community College in Sioux City and will soon be starting online classes to complete his Bachelor’s Degree. 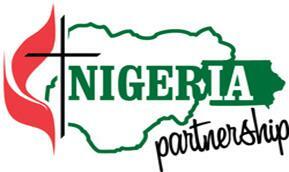 He will then return to Nigeria to continue carrying out the INP mission.